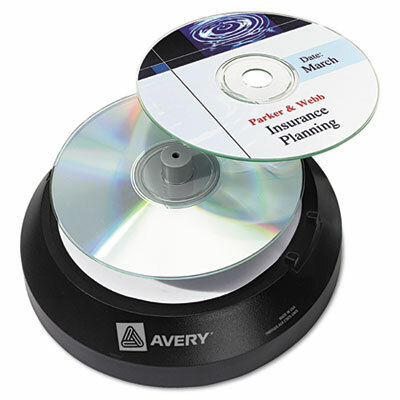 Easy-to-use applicator for applying CD/DVD labels. Centers label perfectly every time. Tall center spindle prevents label curl.